Those who use WordPress to power their website know for a fact that starting a website with this CMS is extremely easy. However, while it does provide you with many features and functionalities by default, there are few that you need to work on manually. And, one such feature WordPress does not provide by default is adding signature or ads. Adding ads to your post in WordPress is not difficult, however, it is important to note that you cannot just place them on a random basis in your post. Through ads, you can gain good revenue, but placing the ads in the right way is important. You need to place them after your content to gain maximum benefits. Likewise, the signature can be used to add a personalized feel to your post. If you have absolutely no idea about placing signature or ads, then here’s a beginner’s guide you can follow. This is the easiest method to start with. 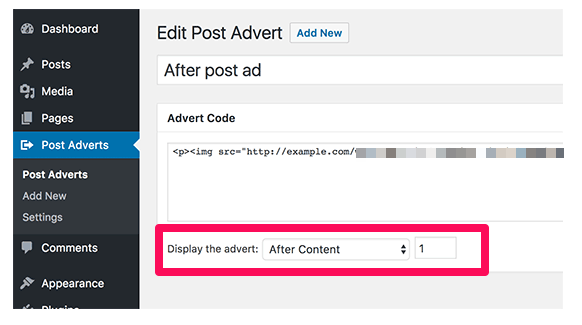 Use a WordPress plugin to show ads after the content. 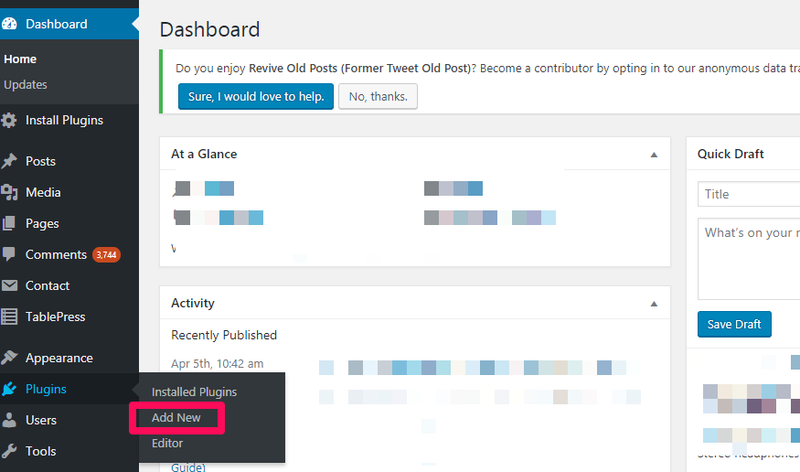 Here, you can make use of the Insert Post Ads plugin. It’s easy install and use and also has automatic Google detection so it lets you start earning money from your blog right way. Step 1 – Login to the WordPress admin area and locate the plugins option. Now, click on the ‘Add New’ button. Step 2 – Enter ‘Insert Post Ads’ in the search box. Click on the install button and after the installation, you need to click on the activate button. 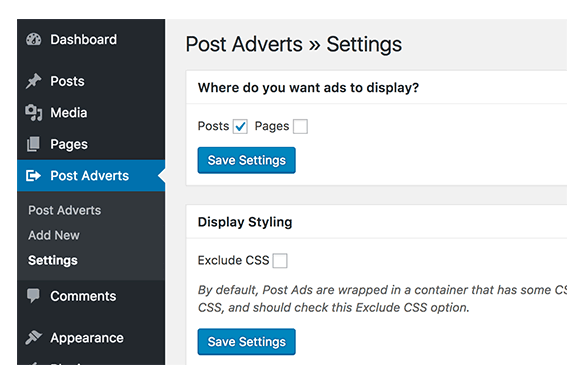 Step 3 – On the left side of your admin page, there’ll be an option of ‘Post Adverts.’ Choose where you want the ads on your post content in WordPress. Select the settings option from there. This will let you choose the placement of ads on the page. There will be two options to choose from namely Pages, and Posts. Check any one option to place your ads accordingly on the page. Do not forget to click on save options button to make changes on the site. On the page, there is an option of excluding CSS. If you want to use customized ads, then you may check the tab and save the settings. You can navigate to the ‘post adverts section’, which lets you create your own ad. It lets you give a title for the ad you want to place. Simply paste your ad code. Now, select the “after content” option abutting “display the adverts”. Add 1 to the blank text field, click on the publish tab to display your ad on your website. WordPress allows you to add as many plugins as possible and that is the main advantage of using this CMS. There are many lesser-known WordPress plugins to add a variety of extended functionalities to your WordPress website. And as such, here are some additional plugins that you can use to add the ads on your website. This plugin lets you choose your ads on display. As the plugin can be linked with Google Adsense account, you can expect good revenue on your website. It has many personalized features too. This is another plugin that can be used to add ads in WordPress. It has features of ad rotations and group ads. It lets you schedule your ads and the set up is also very simple. You have many customized options for ads to choose from. Step 2 – Search for the function.php file and once found, right-click on this option. You will find the code edit option in the tab. You just need to add the below code in this tab. Next, replace the ‘$content value’ with the chosen ad code of your website. You need to click on the update file button. Once the setting is saved, go to your main website page and check for display of ads. Create your own personalized signature to add it to your post. Create a signature in an image editing software or Photoshop. You will need a URL link to the image for uploading it to your website. Check if your WordPress theme allows you to overwrite the function.php file or else the changes may not affect your site. You need to save the settings and check your website. Choose a WordPress plugin or add signature/ ads manually, it’s simple if you follow the above steps. If you are a beginner to WordPress website, adding a plugin will be a simple task for you now. Signature or ads both play an important role in boosting your site’s conversion, so go ahead and use it.